Help Vez'nan defeat King Polxy! 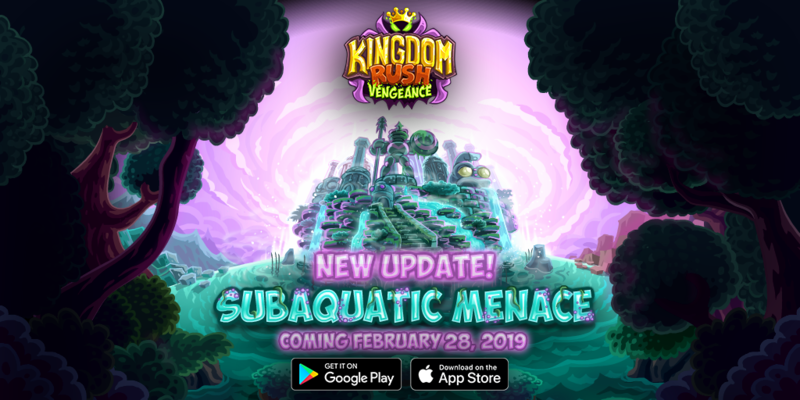 Subaquatic Menace update coming on February 28! After the mighty conquest of Linirea led by Vez’nan, the Big King Polyx felt confident to refloat his subaquatic city in order to execute a powerful ritual to plunge the world in darkness. But all danger is an opportunity for the Dark Lord: he must stop the Anurians, and in the process, steal them all their magical artifacts and secrets. A new war is coming in an exotic land hidden for millennia! Prepare yourself to embark in this journey in a new land with new enemies and adventures! Subaquatic Menace is coming on February 28 on Android and iOS!